It’s an auspicious time, beloved patrons, especially for those who delight in dark stories, things that go bump (or worse) in the night, and those who believe in the power of the unseen. Let’s take a look at some of the feasts and holidays being celebrated over the course of this week, and some of the reading you can do to learn more! On the night before the first of May, people in European countries including the Netherlands, Germany, the Czech Republic, Slovenia, Sweden, Lithuania, Latvia, Finland, and Estonia observe Walpurgisnacht, which is the eve before the Feast of Saint Walpurga (pictured at left), an 8th century British abbess who traveled to what is now Germany as a missionary. Walgpurga was renowned for her medical abilities, and her abbey in Germany was considered “a center of culture” where people came to learn as well as to seek aid and spiritual guidance. Following her death in 777, and subsequent canonization, people prayed to Saint Walpurga to repel the effects of witchcraft on their bodies and their possessions. On May 1, 870, her relics were relocated to Eichstätt, a town in the Bavarian area of Germany, and local stories note that miraculous cures were reported as her remains traveled along the route. Over time, the evening before Walpurga’s feast day on May 1 was seen as the night when all the evil in the world had free reign–a time that ended with Walpurga’s Day. That is why, when Jonathan Harker travels through Hungary to Romania in the opening chapters of Dracula, he sees bonfires burning, and is told to fear the things he may encounter in the darkness during his journey. For more information on Dracula, and Bram Stoker’s study of the paranormal, the occult, and the superstitions that made up his classic novel–and plenty of other fascinating historical facts, too, check out Jim Steinmeyer’s Who Was Dracula? : Bram Stoker’s Trail of Blood. In Ireland, Scotland, and the Isle of Man, the feast of Beltane (traditionally observed on or around May 1) marked the beginning of summer and was when cattle were driven out to the summer pastures. Rituals were performed to protect the cattle, crops and people, and to encourage growth. Bonfires were lit to protect both the cattle and people from predators–both the animal and the supernatural kind. 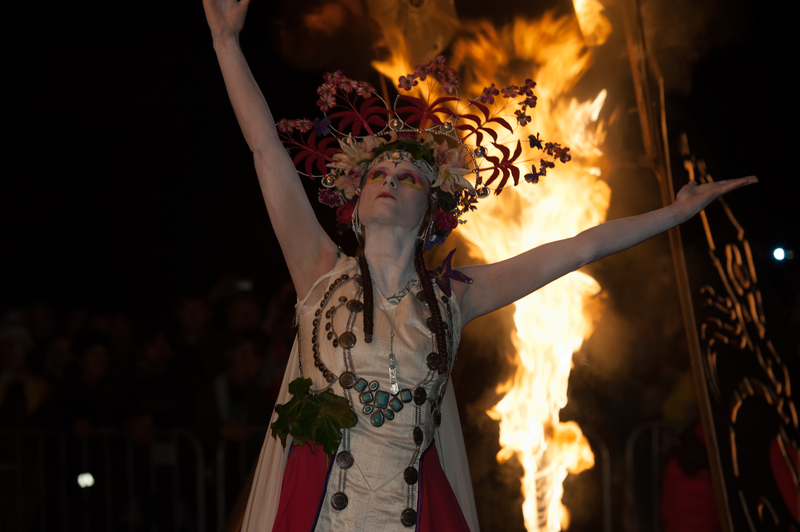 Traditionally, all household fires would be extinguished, before being re-lit with sparks and flames from a Beltane fire, so that the house would also be protected, as well. There were also any number of rituals performed to keep the the aos sí, or the fairy folk, happy; from leaving out bowls of milk for them to sip on, to offering sacrifices and presents at fairy forts (areas that were believed to be inhabited by the aos sí, identified by natural oddities like a circle of rocks, trees, or a hill). Angela Bourke’s The Burning of Bridget Cleary, a Free-For-All favorite, is a sensational historical account of the superstitions and folklore of nineteenth century Ireland. It also tales the story of Bridget Cleary, the last women to be burned to death on the supposition that she was possessed by fairies. The case is a fascinating one, that highlights the shifting ways of life in Ireland that was unsettling the population and individual families, as well. For those looking for fiction, Hannah Kent’s The Good People offers a similar insightful look into the power of superstition and stories on Irish women. This novel is based on a true account of the death of a child in Ireland in the 1820’s–again, fairy possession was believed to be the cause of the child’s affliction. Kent’s story is an unsettling, troublingly honest look at life in a rural community, the pain of loss, and the damage of distrust that blends real historical detail with modern day empathy to make for an unforgettable story. In much of the northern hemisphere, May 1 is known as May Day, a traditional spring holiday when winter is officially banished and the promise of a long growing season is welcomed. Originally a pagan holiday to celebrate the change of seasons, May Day became a secular celebration that was observed by dancing around a May pole. Nevertheless, plenty of rituals still exist around this day that harken back to the superstitions and supernatural powers of old. May Day was associated with fears of butter stealing. Cows were safe-guarded by attaching flowers around their heads; sometimes red ribbons or bits of rowan were tied to their tails. This was believed to offer them protection from the malign glance of those with the evil eye. The churn was especially vulnerable at this time so often similar items or iron objects were placed underneath it. Similarly, crowns of flowers were woven for children to keep them safe, and flowers were laid on doorsteps to keep the evil eye from falling on one’s house. 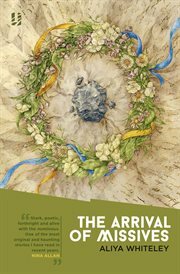 A wonderful book that captures the promise and mystery of May Day is Aliya Whiteley’sThe Arrival of Missives (available through the Boston Public Library). In the aftermath of the Great War, Shirley Fearn dreams of challenging the conventions of rural England, where life is as predictable as the changing of the seasons. As the village prepares for the annual May Day celebrations, where a new queen will be crowned and the future will be reborn again, Shirley encounters Mr. Tiller, a scarred war veteran, whose arrival in her life will change her world as profoundly as spring changes the world around her. This dreamy, surprising little story is a perfect read for a lazy spring afternoon. So, happy spring, dear readers, no matter how you chose to celebrate it! Previous PostFive Book Friday!Next PostBooks on the Screen this Summer!